Hi everyone and welcome, including my latest followers - it's so exciting to see those numbers gradually build and I always appreciate you joining me. 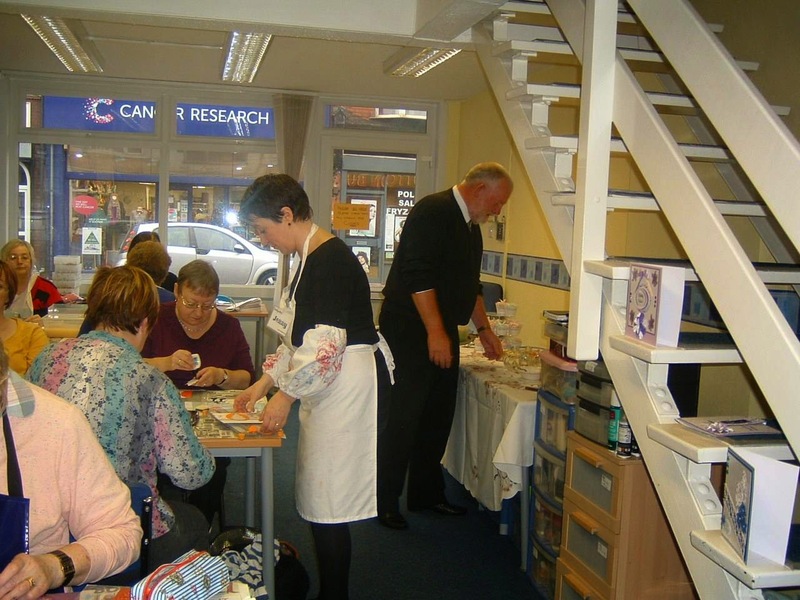 First up, in my last post I mentioned running a workshop at JGD Crafts on Saturday, and what a great time we had. The group were really enthusiastic and so welcoming, and our host Janet was a real gem. She is clearly a master organiser, and we were spoiled rotten with the most wonderful buffet, complete with handmade/decorated cupcakes! I can see why they come back for more:) Thank you to you all for making it such an enjoyable day. I returned home and took a quick flick through Blogland to be greeted with some fantastic news... a win for my Inspired by Rust piece!!! 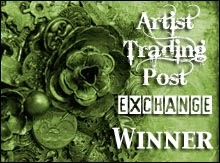 Thank you so much to the team at Artist Trading Post for this honour - you added the cherry on top of the cake for my weekend! And so on to the business of the day. 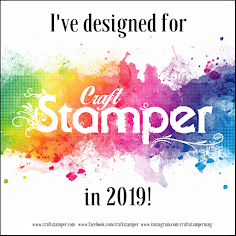 For the past couple of years I've joined in with Linda Coughlin's 12 Tags of Christmas challenge because it is a great way to get those festive cards made in time. I may have been making Christmas projects since the beginning of the summer (actually it feels like the beginning of time right now!) but as none of those are for personal use the pressure is now. 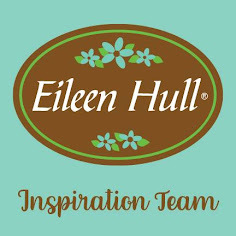 The joy of this challenge is in Linda's inspirational tags, each of which give your mojo a kickstart. 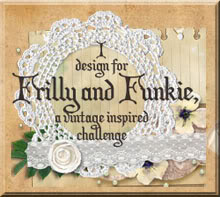 And of course no challenge would be complete without a prize; with sponsorship from The Funkie Junkie Boutique there are gift certificates for the winners and discount coupons for everyone who enters!!! Woohoo!!! A really stunning card Jenny and very well done on your win too. Thanks for your lovely comment on my stag night card as well and sorry to take so long to come and visit. Brilliant, absolutely fantastic Card, love, love, love it. Now Jenny tell me how the day could NOT have gone well with you teaching them. Lucky ladies to have you there. Me again, sorry I forgot to Congratulate you on your win. Does not surprise me in the least. Love the way your 'deconstruction' worked Jenny, you really have worked your magic on this one, it is really beautiful! I love how you layered this. It's like all the pieces were ready to load onto the tag but you just left them. Love it. I love watching my list grow to. Congrats on your win. Always exciting and well deserved. Congratulations Jenny for your ATP win. Love how you've developed this from Linda's piece. You are the queen of layering for me! Congratulations on your win! I love all the layers you have done on this card! Just Beautiful! Lovely card and congrats on your win. Nice to see a photo of you teaching, too. Gorgeous card. I love all the layering and the use of that fantastic stencil. One of my current favorites. Love this. Beautiful card Jenny! Love the all the layers you created. Just super. YEAH!!! You're in for a play and I'm so happy. Already on pins and needles to see the others. Your artistic and creative idea for your cards is superb. I absolutely love what you've done to create a holiday message here. I'm a fan of your work! Also, WOO HOO Congratulations on your win! Yay Jenny! So great to have you playing along again this year. Love your approach too - brilliant. I'm always in awe of how you lay out the elements on your cards. I especially love the bit of stenciling peeking out around the edges and that wonderful evergreen stamping too. A huge congrats on your win for the Inspired by Rust piece. That was an amazing piece of work and the recognition is truly well deserved. Thanks again for jumping in for the 12 tags challenge again this year! So cool to see pics of your demoing! Congrats on that! The card is simply stunning! LOVE the metallics and the layering. Gorgeous! FAB FAB FAB card, Jenny!! This is an awesome take on Linda's Tag #1 :) You've got me thinking "better late than never" to join in with The Funkie Junkie 12 Tags of Christmas :) It is a great way to get those Christmas cards made and just to get into the spirit! Love the combination of lines and rounded lines - not to mention the patterns and texture! Wow, brilliant, love this one, you will have such a fantastic collection in the end, great use of all the different elements, a real stunner!